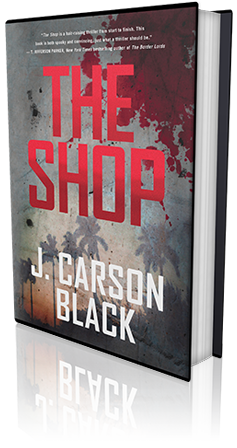 When I started my first big thriller, THE SHOP, I wanted it to be (to quote Donald Trump): HUGE. Glenn and I tossed around words, and the best word that came to mind was “Airport Fiction.” A book that grabs you and doesn’t let go. I’d had two eye-opening experiences with those kinds of books. On a trip to Florida to see our relatives, I picked out Jeffery Deaver’s THE BLUE NOWHERE in paperback. I wanted a shiny new book to take across country. Turned out, I literally couldn’t put it down. I read that darn thing everywhere. In line with luggage, in line for the flight, at the bar where I nibbled on my sandwich, on the flight. I barely looked up to meet with my brother-in-law and his family, as we sat at an airport bar and I just read and read and read. Frankly, I was rude. I feel bad about it now, but it was kind of like a fever. I couldn’t stop myself. There I was, meeting my father-in-law’s wife for the first time, and before you knew it I was sitting on a chair reading THE BLUE NOWHERE while everyone around me talked. Warning: THE BLUE NOWHERE can lead to rudeness! Fast-forward to another airport. This time I was flying to New Zealand. There was the Incredible Spinning Rack, and a beautiful blue and red paperback caught my eye. Florida! Boats! Murder! I read the first page of MEAN HIGH TIDE by James W. Hall, and was hooked like a hapless grouper. Airport Fiction. This book changed the way I wanted to write fiction. It made me want to write crime fiction. It made me want to put hard characters on stage, bigger-than-life characters. It made me want to get visceral. MEAN HIGH TIDE opened up a whole new world. 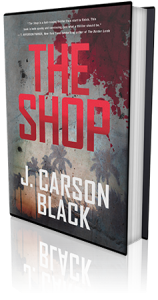 It led to Robert Crais and Michael Connelly, and so many great crime fiction authors. 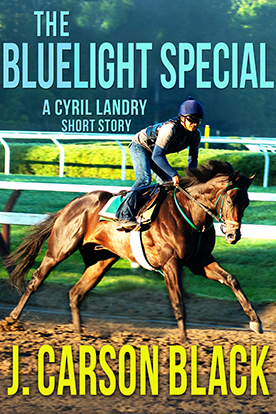 I’d written a romantic suspense—my agent thought it would sell well. Now I can fully admit I wasn’t very good at it. Write what you LOVE. That’s the way to fly high with Airport Fiction. Everything changed. I knew the kinds of books I wanted to write. Whether I’ve been successful or not in writing books in that vein is not for me to say. All I can say is that those books gave me the passion to write what I love.